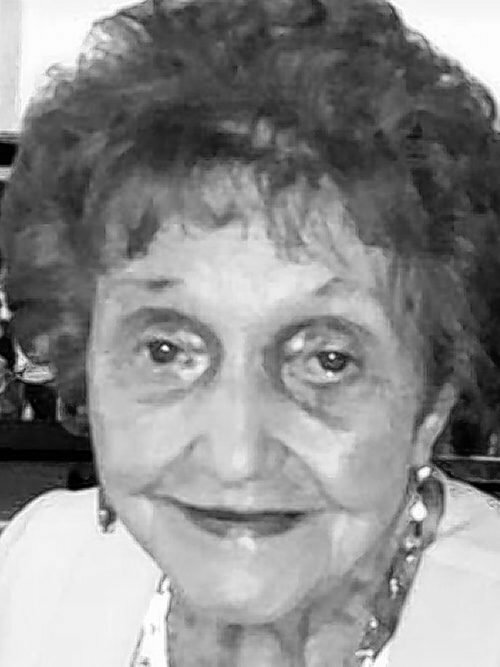 SCALISI - Mary T. (nee Duminuco) of Tonawanda, entered into rest February 6, 2019. Beloved wife of the late John F. Scalisi; devoted mother of Marie (Tim) Martlock, John J. (late Darlene DiPasquale) Scalisi, Sharon (Peter) Lankes, Julie (Kevin) LoCicero and the late Celia (Fulvio) Dunatov; cherished grandmother of 17 grandchildren, 28 great-grandchildren and one great-great-grandchild; loving daughter of the late Charles and Maria Duminuco; dear sister of Theresa (late Sam) Martorana, late Antoinette (late Pasquale) Sardina, late Russell (late Josephine) Duminuco late Rosalia (late Al) Giambra and the late Mickey (late Wally) Szfranski; also survived by many loving nieces and nephews. Relatives and friends may visit the Lombardo Funeral Home (Northtowns Chapel) 885 Niagara Falls Blvd., near Eggert/Sheridan Dr., on Tuesday from 3-7 PM, where a funeral service will be held on Wednesday at 9:30 AM. Interment Holy Sepulchre Cemetery. Mary recently retired from the Sweet Home school district where she worked for over 30 years.